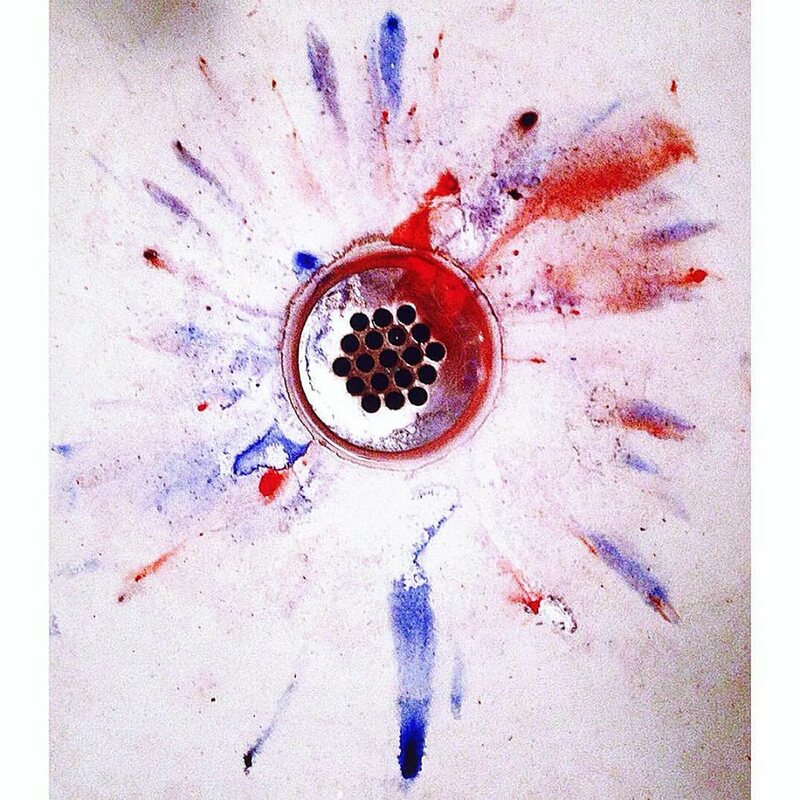 Sink after some art-making made its own art. Night stand progress 2. Top and one side so far. Night Stand progress 1. The beginnings. 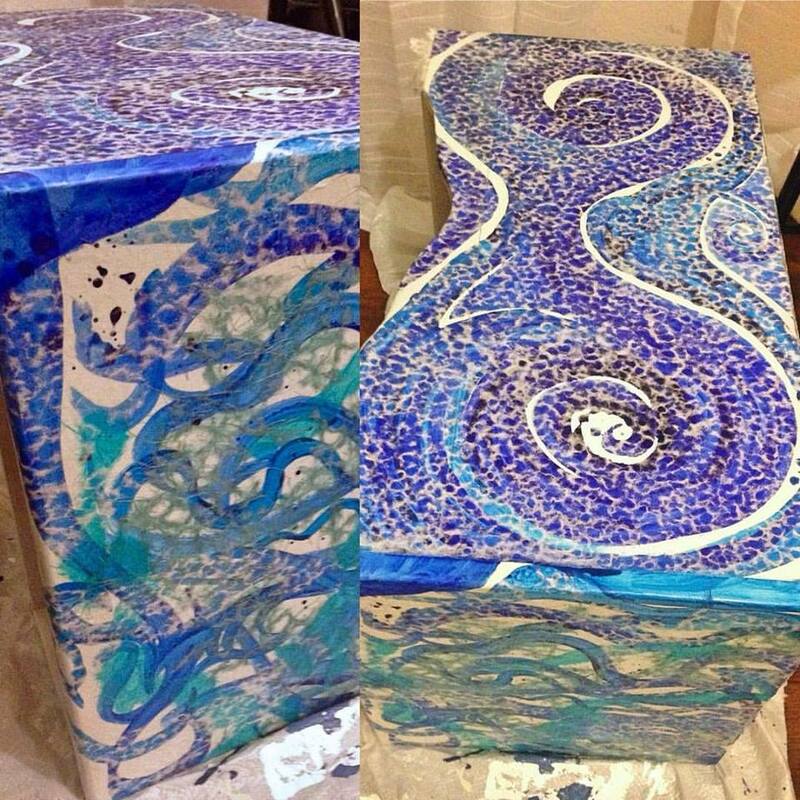 Mixed media (acrylic and papers) on secondhand night stand I had sanded down and primed over with white.